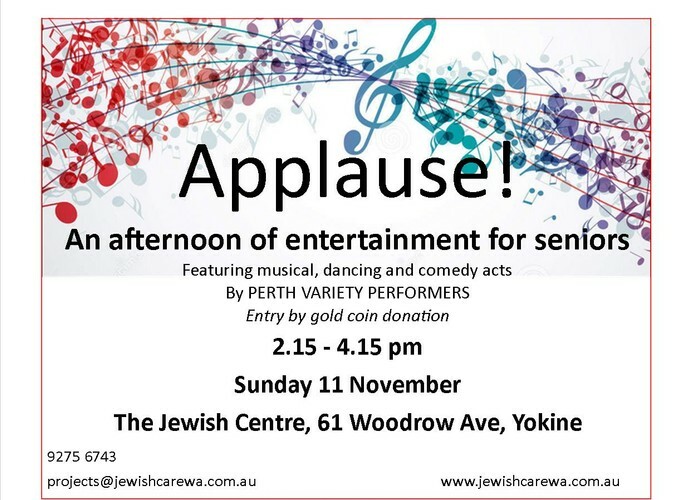 To acknowledge our local seniors, JewishCare WA is once again holding an entertainment and afternoon tea celebration. Last year, the Perth Variety Performers provided a fantastic array of entertainment last year and were so good that we have booked them once again to entertain our seniors with an amazing number of fabulous acts designed to awaken old memories of fun and happy times from the past. To help with catering, please RSVP to JewishCareWA on 9275 6743 or email projects@jewishcarewa.com.au.